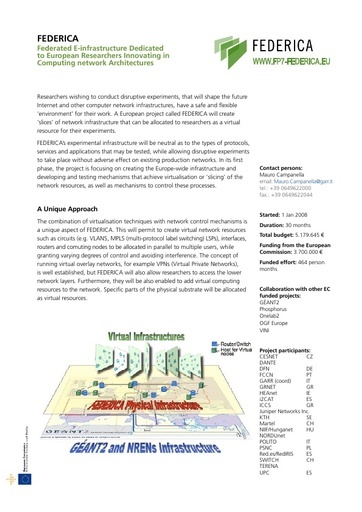 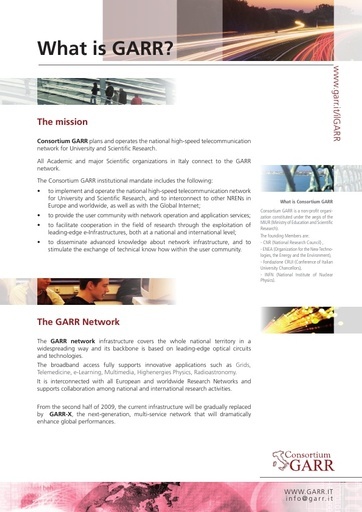 Leaflet - Consortium GARR plans and operates the national high-speed telecommunication network for University and Scientific Research. 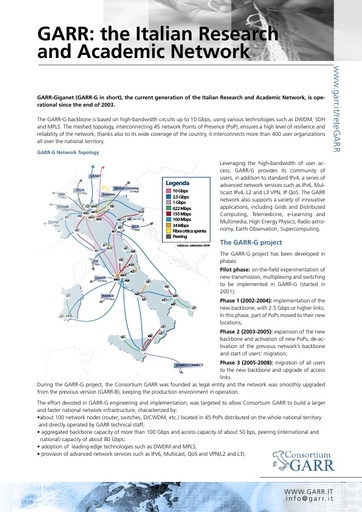 All Academic and major Scientific organizations in Italy connect to the GARR network. 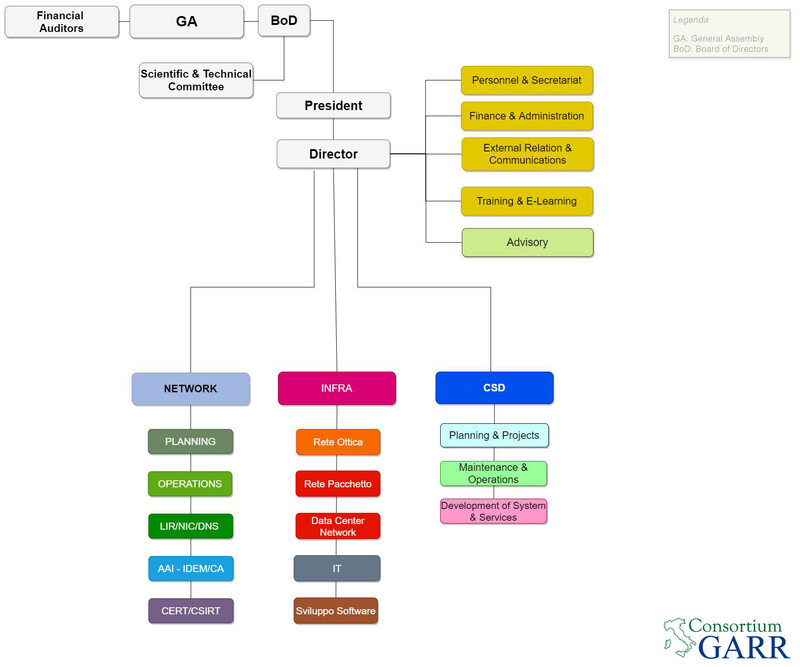 GARR-Giganet (GARR-G in short), the current generation of the Italian Research and Academic Network, is operational since the end of 2003. 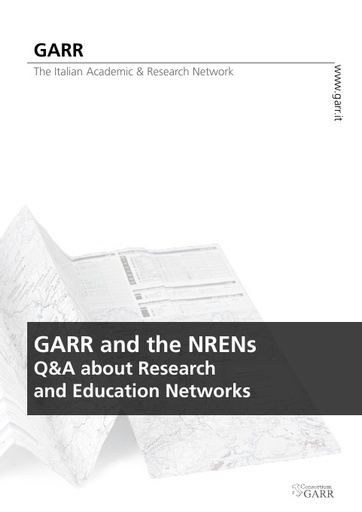 Leaflet - The GARR network and its services are dedicated to the Italian Academic, Research and Education community. 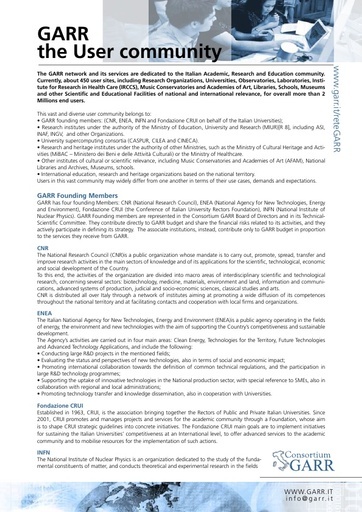 Currently, about 450 user sites, including Research Organizations, Universities, Observatories, Laboratories, Institute for Research in Health Care (IRCCS), Music Conservatories and Academies of Art, Libraries, Schools, Museums and other Scientific and Educational Facilities of national and international relevance, for overall more than 2 Millions end users. 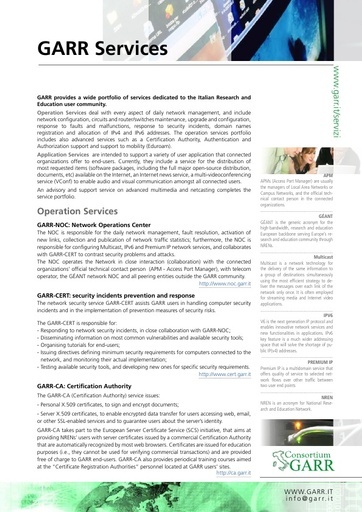 Leaflet - GARR makes available on its network IPv6, the next generation IP protocol and supports users in its implementation. 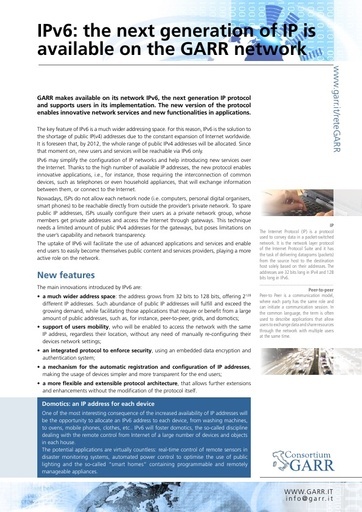 The new version of the protocol enables innovative network services and new functionalities in applications. 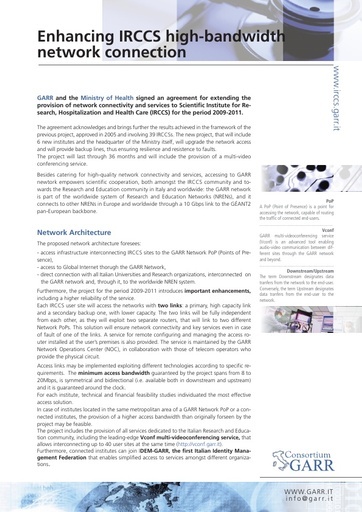 Leaflet -GARR and the Ministry of Health signed an agreement for extending the provision of network connectivity and services to Scientific Institute for Research, Hospitalization and Health Care (IRCCS) for the period 2009-2011.